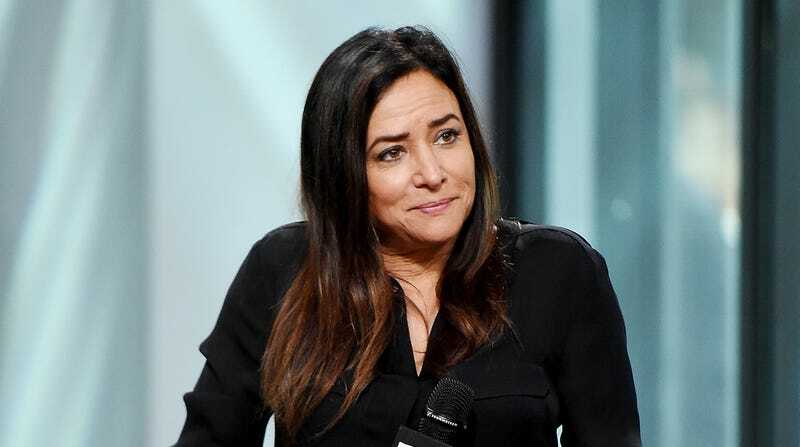 Approximately what Pamela Adlon’s face must have looked like when she had to point out there were only dudes behind the cameras. Variety recently gathered a panel of seven leading women directors—including Tracee Ellis Ross, Jodie Foster, and Helen Hunt—to highlight “women behind the camera” and talk about “the challenges they’ve faced” in Hollywood. Which is very cool—it’s just that Variety captured that meeting with a room full of men behind the cameras. Change will clearly require more men in Hollywood making an effort.